Our wide range of cardboard boxes are ideal for ebay sellers, people moving house, manufacturers of goods. Our cardboard boxes are made to order in any size and quantity. Our cardboard box products are high-quality. 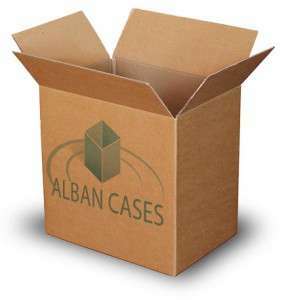 At Alban Cases we can print on your boxes in a one colour flexographic print.